Bob Boyte Honda features a range of Honda lease deals and finance offers that make it easy to afford a new vehicle. If you don’t see something that fits your budget below, we have plenty more — don’t hesitate to contact us online or call or text 601-826-4061 and one of our Professional Leasing Consultants will be happy to assist you. 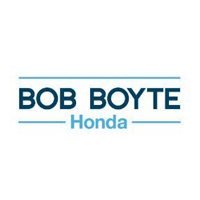 Why Lease a New Honda from Bob Boyte Honda? The first thing to keep in mind when looking for a new vehicle to lease — whether it’s a Honda Civic lease offer, an Accord, or a Pilot — is why you’re choosing to lease. Many drivers opt to lease because it usually means fewer responsibilities: repairs will often fall under warranty coverage, you return your vehicle at the end of the lease period, and if you want to buy, you often can. But there’s also the benefit of your monthly payment. Since leasing only pays for the depreciation of a vehicle over time, it’s often a lower payment than financing the same vehicle. Financing can make sense for the right driver, too. If you’re planning to need a car for the long-term, want to make modifications, or need to put on a lot of miles, buying the car outright may be a better choice for you. Now that you’ve seen our available Honda lease deals and finance offers, let us help you find the Honda that’s right for you. Schedule a test drive today.